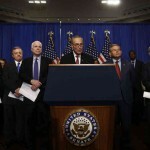 The Border Security, Economic Opportunity and Immigration Modernization Act of 2013, or the “Gang of Eight” bill, made significant headlines this week as the Senate proceeded to debate, amend, and pass the most significant overhaul of U.S. immigration law in over a generation. The bill will now proceed to the House of Representatives where it stands a difficult test. 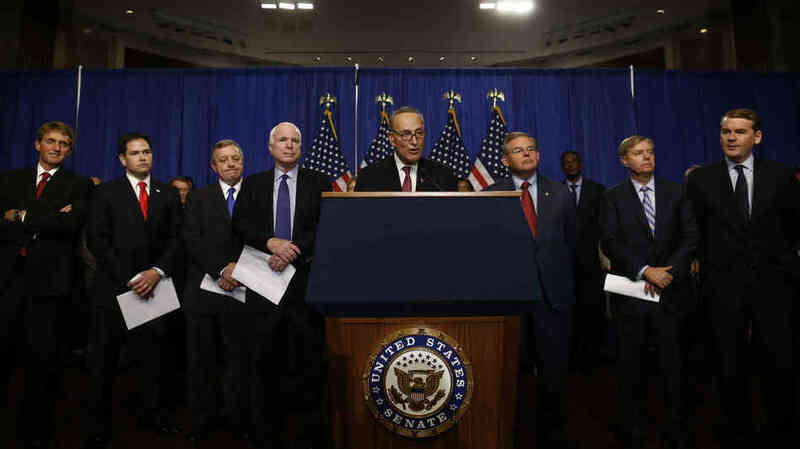 The Gang of Eight bill would grant citizenship to over 11 million undocumented individuals. Success in the Senate hinged on a compromise amendment brought forward by Republicans to increase border security spending by $38 billion which would add an additional 20,000 border security agents, new fencing, electronic surveillance and unmanned drones. What does this bill mean for Oregon? According to the Pew Hispanic Center, Oregon is home to 160,000 undocumented individuals. Providing a path to citizenship for these folks will help ensure the integrity of their families, will potentially lower crime, and will enhance their access to justice as they will no longer feel the need to hide in the corners of our society. Immigration reform has long been overdue. Oregon’s north-south Willamette Valley stretch and the rolling grainfields and orchards east of its Cascades employ between 90,000 and 150,000 farmworkers – many of them undocumented. Immigration reform will bring them into the legal, competitive market. Their full citizenship will correspond with full taxpayer status. The Senate’s passage of the Gang of Eight bill follows the passage of Oregon Senate Bill 833 on May 1st that legalized short-term driver’s licenses for folks illegally residing within the state. The law was passed with rapid fanfare (three weeks after the first public hearing was held), and while critics claim it has the potential to attract more undocumented immigrants to the state, the downsides to the law are significantly ameliorated by the upsides, especially in the event that the Gang of Eight bill is passed by the U.S. House of Representatives. Consider the citizen-children of undocumented individuals. Many of these citizens would not be able to attend school or other community activities. Providing these citizens with the opportunities afforded to other citizens is crucial for creating a strong and diverse economy and society. Allowing undocumented individuals short-term drivers licenses increases taxes, puts money into the economy through insurance and gasoline purchases and enhances access to many other Oregon businesses. Issuing drivers licenses to undocumented individuals does little harm to our state and addresses an immediate need felt by their citizen-children who rely upon this legislation to realize the Oregon Dream. Additionally, a buttressed border and enhanced guest worker program (the former provided by the Gang of Eight bill) is essential to ensuring that immigration occurs through the proper channels. In offering shelter to the homeless, churches and non-profits that provide such services go through a process of registration and procedure. Likewise, the government must ensure the protection of its citizens and the procedure of its immigration. Finally, this legislation must be accompanied by stronger penalties for hiring undocumented workers. While this will undoubtedly raise the price of our food, such is the cost of ensuring that human rights are protected. If no one is hiring undocumented workers to begin with, the problems that flow from the inherent inequality in their labor are ameliorated.